Photos from the 2019 La Côte en Plein Air event are now posted on Jerrod’s website HERE. Art Space 86 is partnering with the Walter Anderson Museum of Art to put on the second La Côte en Plein Air event on the Mississippi Gulf Coast . It will be from Monday, April 1 - Saturday, April 6, starting in Bay St. Louis on Monday and working our way across the coast with painting sessions each morning in a different town. There will also be a workshop by Richard Kelso and an exhibition opportunity. More details are on the event Facebook page HERE. March 23, 24, 2019 - Painting the Figure (clothed) 9-4pm(23rd), 1-4pm(24th), Delta Artists' Association, Greenville, MS. Members - $225, Non-members - $250. To register contact Pat Brown at hideaneyecs@gmail.com. 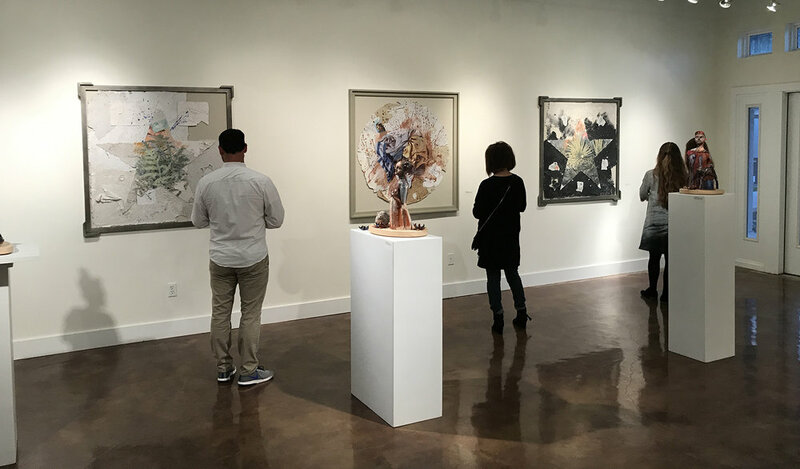 Photos from the 2019 Art Lovers’ Soiree are now posted on Jerrod’s website and can be seen HERE. Workshop at the Mary C. O’Keefe Cultural Center in Ocean Springs, MS on Saturday, February 23, from 12-4pm. This class will utilize live models to improve your abilities to understand and draw the form and structure of the head. Members - $80, Non-members - $100 To register contact the Mary C. at info@themaryc.org or call 228-818-2878. Jerrod will set up an Art Space 86 gallery at the 6th annual Art Lovers’ Soiree in Jackson, MS on February 14, from 5-8pm. Included in the Art Space 86 gallery will be Harold Head (photography), Gerard Howard (photography), Ron Blaylock (photography), David West (drawings), Robert Crowell (sculpture), Gail Cheney (ceramics), and Jerrod (paintings). Leo Moreira will return with his brilliant Brazilian guitar music. Also participating in the event are Fischer Galleries, Ferris and Company, Lemuria Books, Due South Co-op, and the Mississippi Museum of Art. Jerrod will discuss his development as an artist at the Mobile Art Association meeting on January 20, 2019, in Mobile, Alabama. CAET restaurant in Jackson, MS will continue to partner with Art Space 86 as a long-term place to display the work of local and regional artists. The open plan of the private dining area of CAET with track lighting allows artwork to be displayed like a traditional gallery within the Fondren neighborhood. Jerrod will be the featured artist for the grand opening of the Local Creatives' Art Gallery at the Mary C. O'Keefe Cultural Arts Center in Ocean Springs, MS, Jan. 10th from 5:30-7:00pm. In addition to Jerrod’s work there will be artwork from over 20 members of Local Creatives, a networking group on the Mississippi Gulf Coast committed to promoting and supporting local creative entrepreneurs. Click HERE for the Facebook event page. Work has been added to the online painting portfolios Places and Domestic Scenes. Photos have been posted from the Art Space 86 “That’s amore!” at CAET in Jackson, MS during Fondren Unwrapped. The show featured Italy themed work by David West, Katey Carter, and Jerrod. Click HERE to see the photos. Jerrod is putting together an Art Space 86 gallery exhibition for Fondren Unwrapped in Jackson on Thursday, November 15, from 5-8pm. The gallery will be in the private dining room of CAET Wine Bar on Duling Ave. 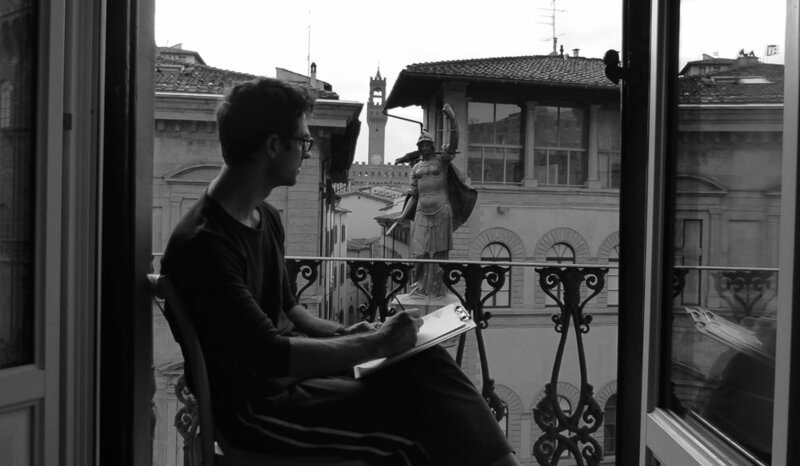 The exhibition is titled “That’s amore!” with Italy themed drawings and paintings by David West, Katey Carter, and Jerrod. Jerrod’s painting “Clothesline on Summer St.” has won the John David Vialet Memorial Award at the Ocean Springs Art Association Fall Exhibition. The public reception for the exhibition is tonight, Friday, October 26, from 7-8pm, at the Community Center in downtown Ocean Springs. Photos from the Art Space 86 Big Draw Event are now on Jerrod’s website. Click HERE to see the gallery of images. Jerrod will be visually exploring New York City and Gloucester, Massachusetts from October 9 -15. Follow along with his trip on Instagram @jerrodpartridge and on Facebook. Jerrod is organizing the Art Space 86 Big Draw Event in Ocean Springs, MS the weekend of October 20, 21. This event will be part of the international Big Draw Festival happening all over the world throughout the month of October. The Art Space 86 Big Draw Event is a free event with multiple drawing venues, social gatherings, and a community drawing wall. Click HERE for more information. The Art Space 86 Big Draw Event is sponsored by Tall Architects. Jerrod will have a selection of his new walnut ink drawings in a group show at the Ohr-O’Keefe Museum of Art in Biloxi opening September 27. This exhibition is of work by members of Local Creatives, a network of creative entrepreneurs on the Mississippi Gulf Coast. New work has been added to the Domestic Scenes, Places, and Drawings portfolio pages on Jerrod’s website. 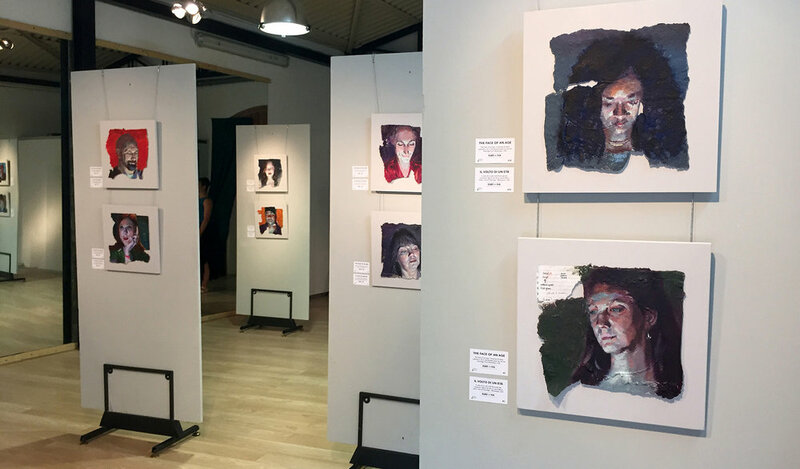 On Thursday, September 6, there will be two receptions for shows in which Jerrod has work. He has one painting in the annual juried exhibition at The Cedars in the Fondren neighborhood of Jackson. Also that evening is the reception at Southside Gallery in Oxford, MS for his solo exhibition “A Eudaimonic Search” from 5-8pm. He will be in Oxford for this reception. Jerrod will be the featured artist at the Walter Anderson Museum of Art for the Ocean Springs Art Walk this coming Saturday, September 1. 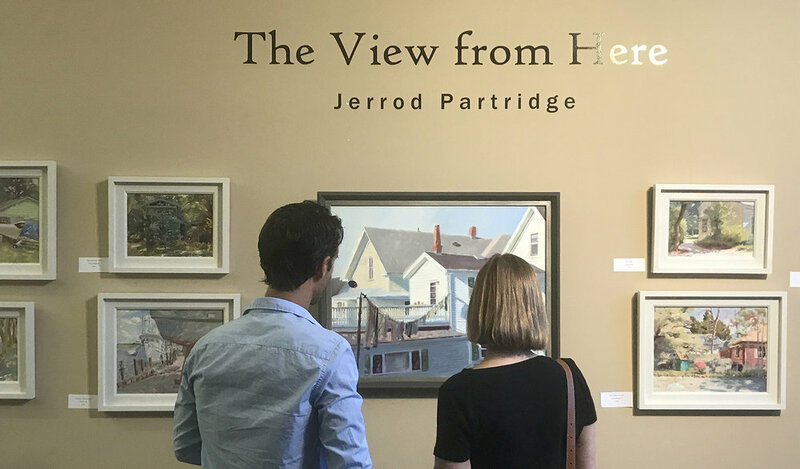 There will be an exhibition of his work at the Art Cottage across Washington Ave. from the museum, and Jerrod will be drawing and painting outside of the museum throughout the day. The Art Walk is from 10am-4pm.